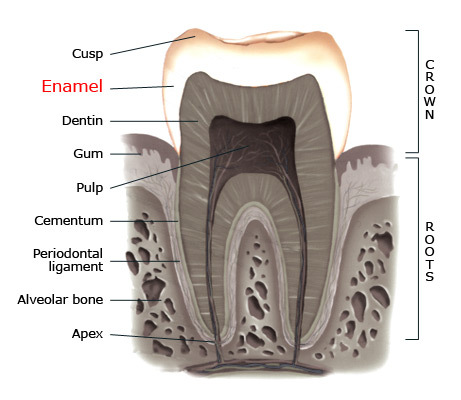 Enamel is a hard and white substance that covers the teeth. 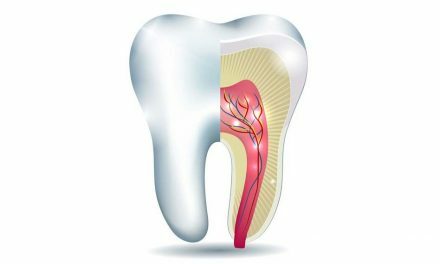 It protects the more fragile underlying parts of the teeth including the dentin and the pulp. 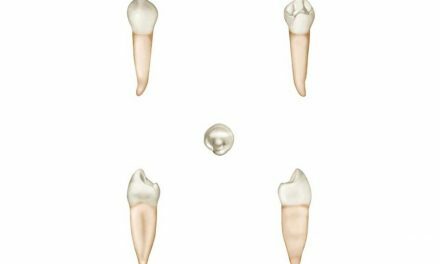 Dental enamel is the hardest substance in the human body and is mostly composed of hydroxyapatite (crystalline calcium phosphate). It is produced by cells called ameloblasts. 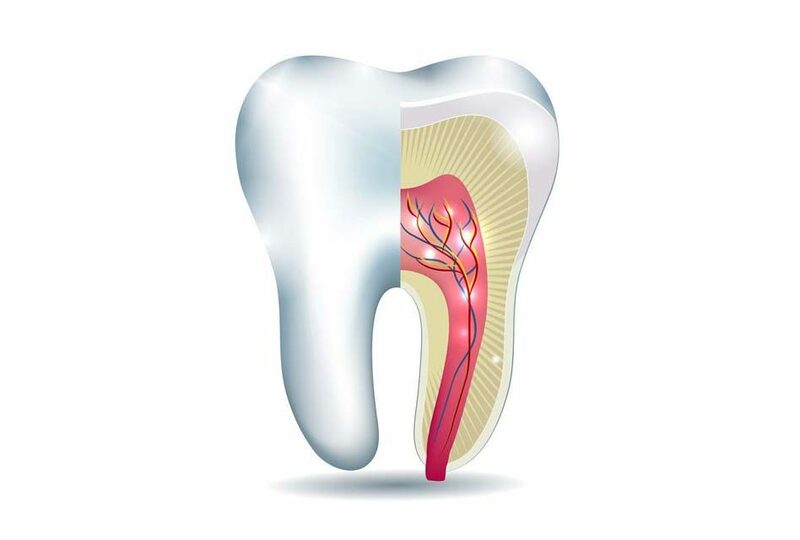 Eroded enamel allows decay-causing micro-organisms to penetrate the tooth. 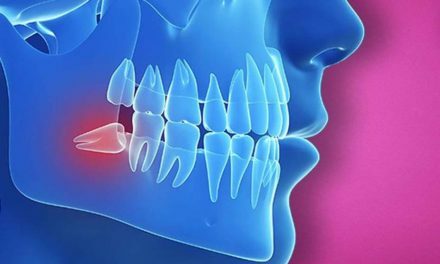 This might lead to the development of cavities, damage to the pulp and nerve, or even the appearance of a dental abscess. Fluoride helps to keep the enamel more resistant to cavities.